Troutbitten | Life on the water | Fly fishing for wild trout. 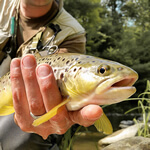 Tips, tactics stories and guide service from central Pennsylvania.. This simple nymph is a winner. The Bread-n-Butter looks enough like a mayfly nymph, enough like a caddis, or enough like a small stonefly to be a very productive pattern. 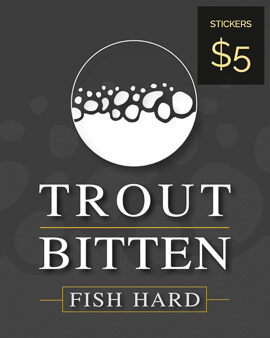 Whatever trout take it for, it gets attention and seals the deal frequently. It’s on my short list of confidence flies. My theory of fly selection is based in simplicity. I don’t carry hundreds of patterns, because I’ve found that I don’t need to. And carrying fewer flies forces me to adjust my presentation — to fish harder — instead of blaming the fly and changing what’s on the end of my line. The tuck cast is a fly fishing essential. 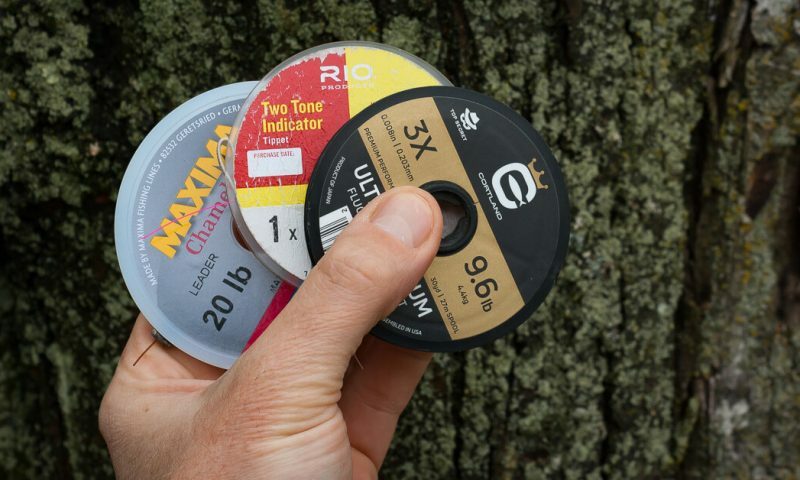 It’s a fundamental component of good nymph fishing, and it’s useful on streamers and wets. 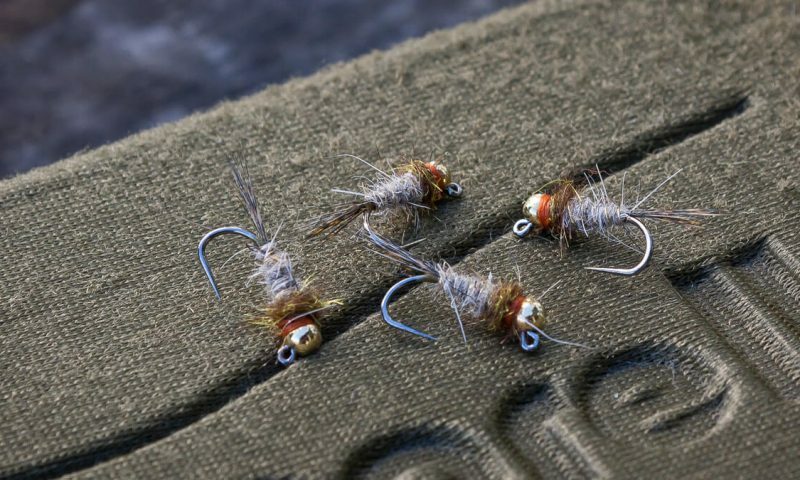 Even dry flies get some necessary slack by completing the same motion of a tuck cast on a dry leader. 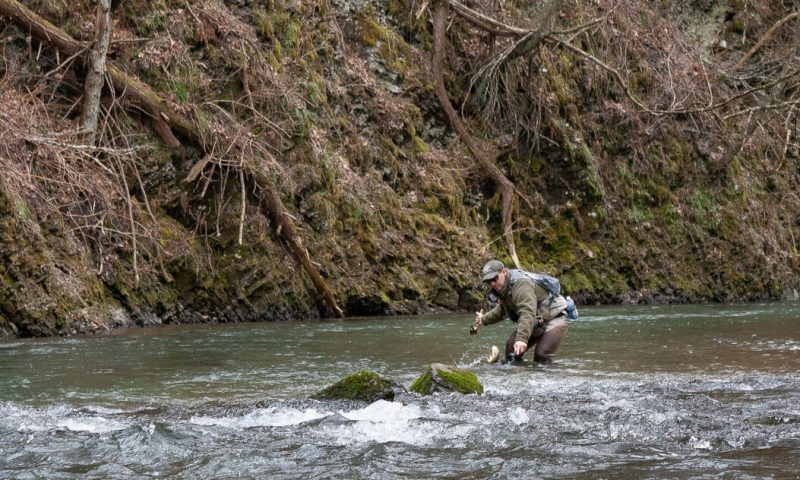 It’s a vital fly fishing tool, not a specialized cast for rare moments. 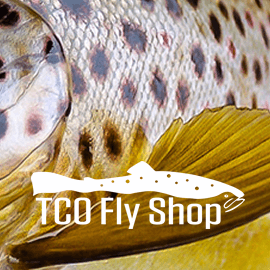 The tuck cast is an elemental part of the fly angler’s casting approach. The tuck cast shines brightest given a tight line nymphing method. So let’s start there before branching out. 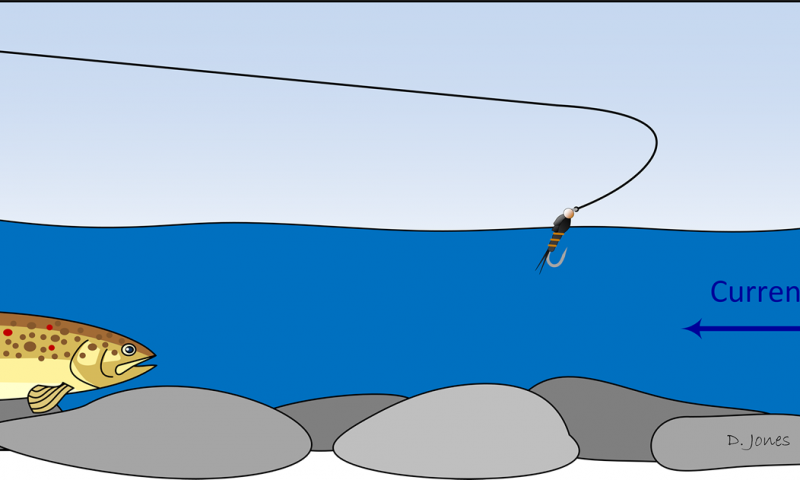 A good tuck cast forces the nymph into the water before the attached leader follows. Understand that first. This simple concept is the tuck cast. And from this idea, endless variations abound . . . I must have been in my late teens, because I was wearing hip boots and casting a fly rod. It was a short transitional time when I fished small streams on the fly and still thought I had no need for chest waders. It’s remarkable how the details of a fishing trip stick in the angler’s brain. We recall the slightest details about flies, locations and tippet size. We know that our big brown trout was really sixteen inches but we rounded it up to eighteen. The sun angles, the wind, the hatching bugs and the friends who share the water — all of it soaks into our storage and stays there for a lifetime. Fishing memories are sticky. And for this one, I certainly remember the fly . . .
I’m not much of a gear guy. I demand a solid pair of waders, and I’m picky about boots, but I don’t obsess over rods and reels. I have what I need, I guess. I am a leader junkie, though, and I have been since the beginning. Early on, I understood how critical leader design is. For presenting the fly, specific material and taper matters a lot. I’ve never liked trying to make one leader do everything, either. The inherent compromises in a do-it-all leader are too great — performance for each tactic suffers. 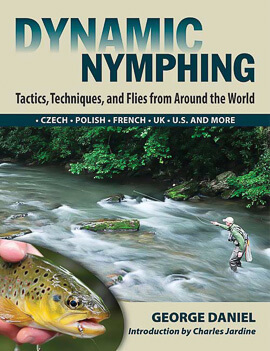 And I know many anglers who agree; they carry both a long leader for tight line nymphing and a dry fly leader. After all, there’s a world of difference in the expectations for those two styles. But here’s the thing: Indicators are often added to our leader as an afterthought — which leads to another compromise. We’re left with a tool that is not well suited for the job. It works, but it could be better. So for many years I’ve carried a third leader dedicated to indicator nymphing. And built into the leader are three features which are specifically up to the task of floating nymphs under an indy . . .
My first experience with modern sighter material was an opaque line from a Czech company. I paid more in shipping than I paid for the line, and I waited a couple weeks, wondering if the package would ever arrive. It did. And I immediately noticed how different it was. The material was extremely limp when compared to the same diameter of the Gold Stren and Amnesia that I favored. And at the tying desk, where I’d opened the package and inspected the line, I loved how visible the new bi-color was — it was opaque, not translucent. So I was eager to fish with the new line, assuming it would become my new favorite sighter material. It didn’t. Instead, just a few casts in, I realized what I’d given up by using the new material — turnover. For better or worse, modern sighter material is all quite similar in design to that first line I bought from the Czechs. It’s opaque (great). And it’s limp (great only sometimes.) . . .
Before I could even offer the challenge, Smith had already accepted it. He shifted his pack high onto his shoulders and stripped out line, wading deftly through the first thirty feet of water. Now stationed in the hard and swift side seam of the pocket, Smith’s six foot frame towered over the same rock that had challenged me. He ignored the stall behind the rock. He cast no flies to the edges of each lane, because I’d already covered them. His first shot was a measure of distance. His second cast was a gauge of depth. 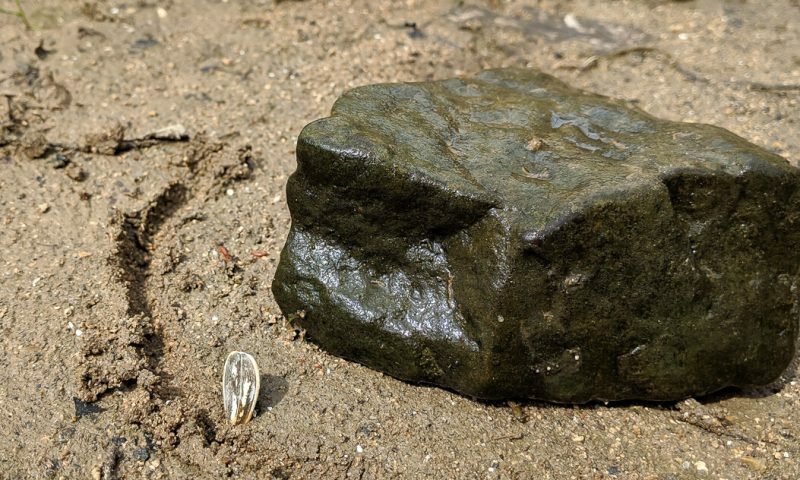 On the third cast he had all the information he needed, and he tucked the stonefly into the flow — five feet above the limestone boulder — and let it drift . . .
. . .I’ve gone through a couple phases of trophy hunting, but I’m always careful to return to my roots before the obsession overtakes me. I don’t want to lose my enjoyment for the simple things on the water: the friendships, the forests, the mountains, the mysteries and the way thick, cool moss on limestone feels like a sofa cushion for a mid-stream lunch. Those are the good things that are available every time I put on my waders, even though the big fish usually aren’t. While going in and out of these phases of trophy hunting for wild browns, I’ve learned that I was looking for big trout in the wrong places. I had to seek out new rivers. And sometimes, I simply had to find new places on my old rivers. Point is, I learned that trophy hunters need a target. It’s not enough to go to the same places and fish the same ways as you always have. 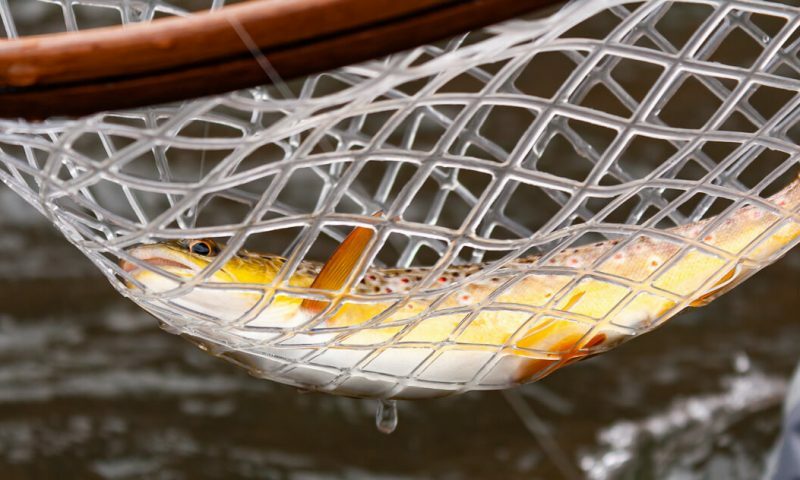 You have to learn where the big fish are, go there, and put on your patience pants — because Whiskeys don’t come easily . . .
How do you know when to set the hook? Should you set on any twitch, pause or hesitation of the line and sighter? Yeah, sometimes. If the trout eats the nymph fast and hard, those twitches and pauses are unmistakable. Aggressive takes are obvious, but most eats on a nymph are subtle. And the angler has a choice: set on anything, or make guesses about every twitch, pause and hesitation. It’s a rough life. But there’s a third option too . . . 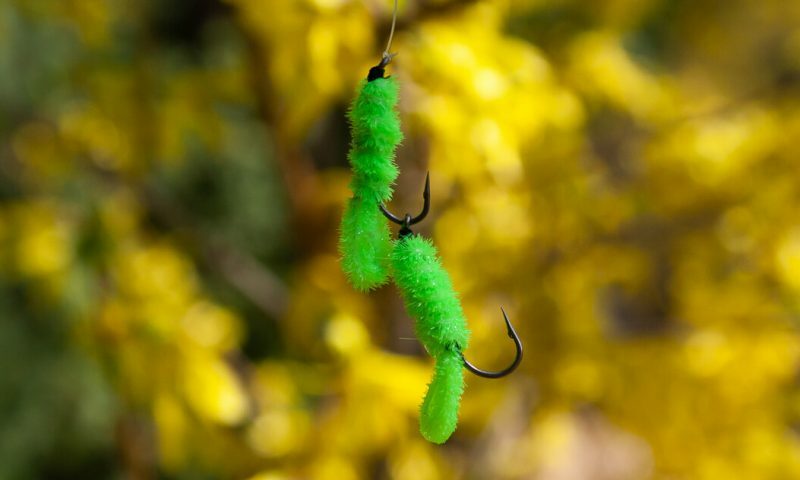 The check set is a very short and powerful hook set that moves the nymph just a few inches. Drift, drift, bump, check set. Nope, not a trout. Then let the nymph fall back into the drift and watch for the next take. That sounds much easier than it really is. And in fact, the check set simply does not work under some conditions. But in the right situation, it’s a deadly tactic. Let's get to that . . .
Hi. I'm a father of two young boys, a husband, author, fly fishing guide and a musician. 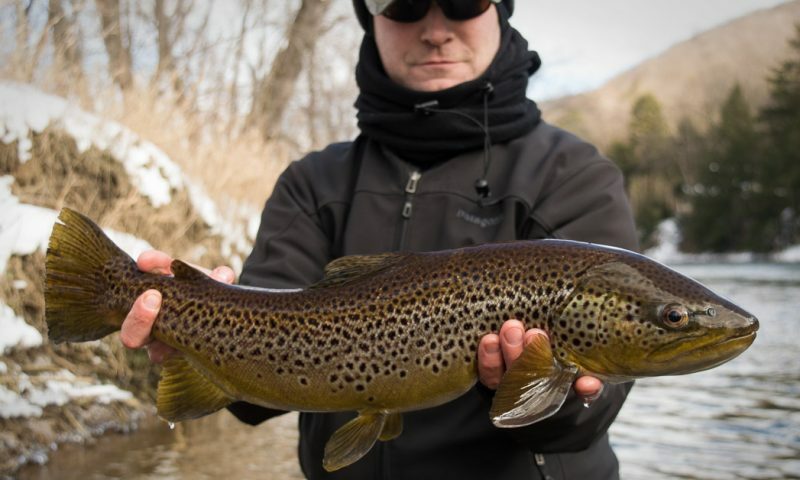 I fish for wild brown trout in the cool limestone waters of Central Pennsylvania year round. This is my home, and I love it. Friends. Family. And the river.